In the embrace of the beautiful hotel, the sea and absolute serenity summer, will take care of this holiday unforgettable. Always with a smile, we will offer generously our services and we will help you to strategizing your vacation. Ideal for short or extended stay, our hotel offers: high quality reception services, accommodation, high quality and a unique environment, which includes a cozy lobby and a friendly bar, an outdoor swimming pool and sun terrace. 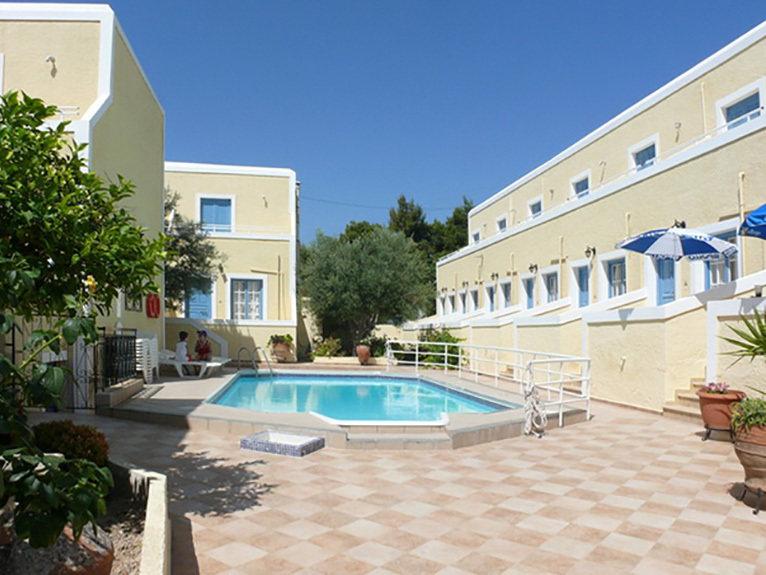 The Esperides maisonettes are in Agia Marina and are characterised by the beautiful garden, which centres the swimming pool. The rooms are spacious and air conditioned which makes them ideal for families or groups of friends, since four or five people can be accomodated.There is a fully equipped kitchen with fridge and cooker. The rooms are on two floors which communicate by a spiral staircase. On the ground floor is the kitchen and bathroom & a sleeper sofa for 2. A great place to make your multi-day summer vacation or to enjoy shorter summer holidays, is without doubt the Sylvia Studios. Located in the beautiful Agia Marina, a tourist resort known worldwide for its natural beauty and even just fifty meters from the clean, sandy beach. The Sylvia Studios is newly built and it offers all that comfort and peace you need on your vacation, close to restaurants, cafes and supermarkets. So you always have beside you that you need. The apartments have private balconies and some of them overlook the sea. All apartments have a kitchen and of course air conditioning. 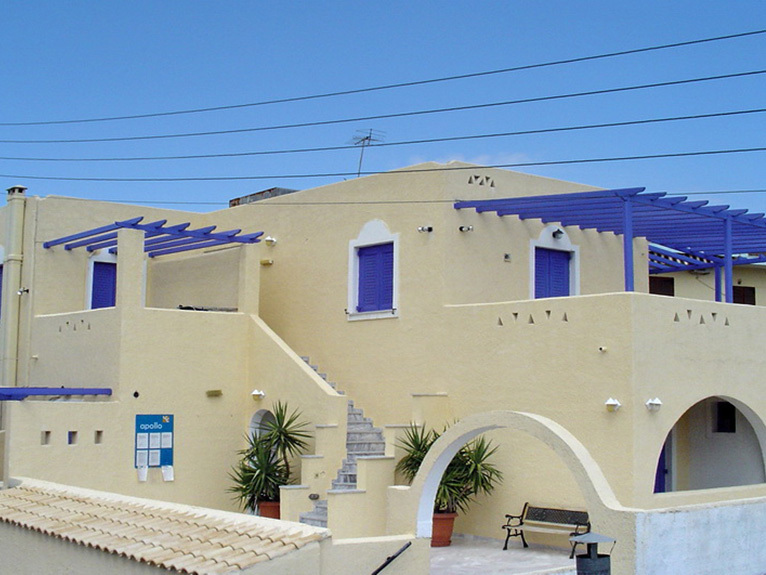 The Senia Studios are situated just 5 minutes walk from the centre of Aghia Marina, in a quiet area with pleasant surroundings and private pool. 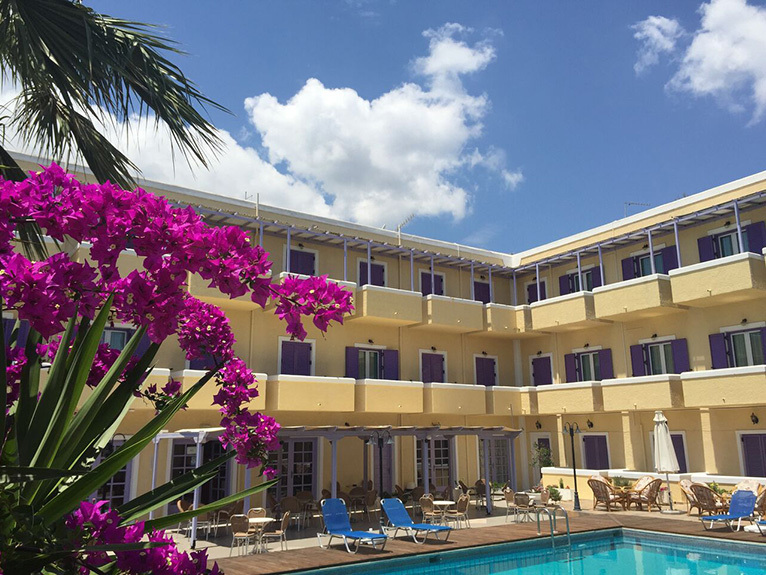 In the heart of Agia Marina you will find the famous hotel Karyatides with beautiful and friendly atmosphere and excellent service, creating visitors the desire to come every chrono.